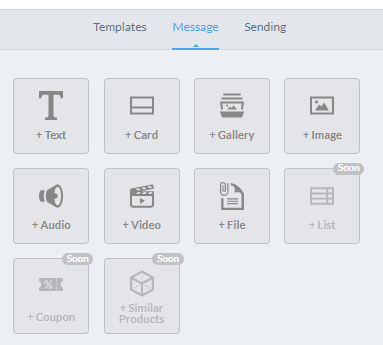 How to customize your Instant Messenger Campaigns using our brand new editor. 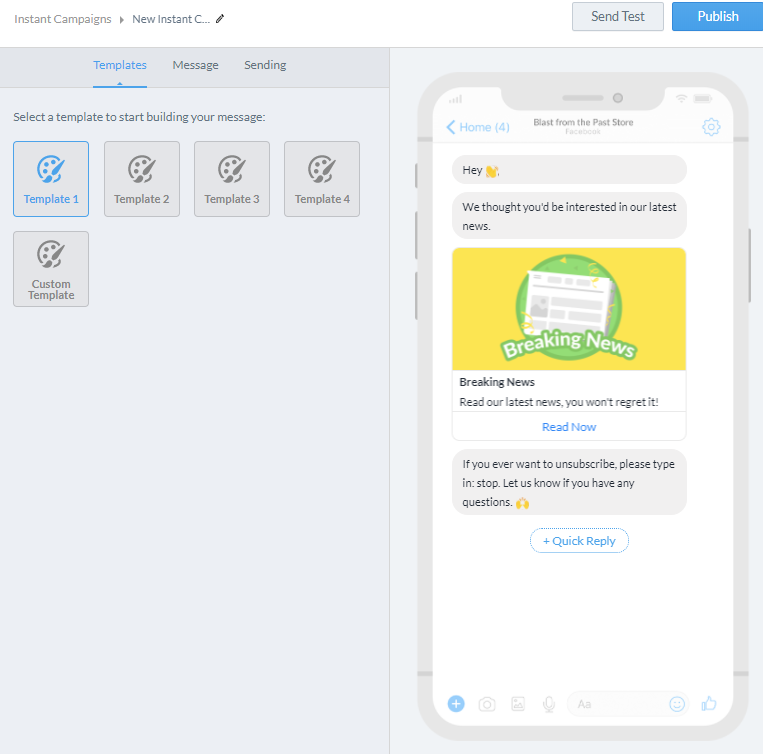 Learn to add custom texts, images, videos and more to your Instant Messenger Campaigns using our brand new drag and drop editor. It is now possible for you to customize your Instant Messenger Campaigns more, than ever before! Here you will find everything you have to know about the different tools you now have at your disposal. To start designing your first campaign, click on the Start here under your Instant Campaigns column on your Recart Dashboard. To change the name your new campaign, simply click on the New instant c... text and type in your preference. On the right hand side you will see a preview of what your message will look like. You can edit the number of messages you want to send as well as the text, images, audio files, videos and other file attachments. You can change the order of your messages by dragging and dropping the message boxes by the up and down arrows. You can add further message boxes by clicking on the Message and then on the file type you'd like to add. You can also add Buttons to your message box by hovering over it and then clicking on +Add button. And customize the displayed message and the link it takes you to or the phone number it calls if you click it. Scheduling your messages is essential to approaching your subscribers when they are available and ready to shop whether it is during lunch-break or after work. Under the Sending menu you can do so with a few simple clicks. Good luck with your new campaigns!